My name is Yolanda. 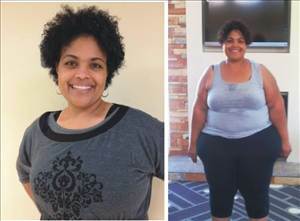 I am 43 yrs old, married mother of 5, determined to make a life change. I can remember going to my primary doctor for a wellness visit, just like it was yesterday. It was back in October 2011. Weight is always the #1 topic of discussion, but this last visit was different. My doctor said that I have 10 years to lose weight or my health will start to deteriorate. Right now, my youth plays a big factor to why I don't have major health problems. As I get closer to 50 yrs. old, all that will change! So, I am taking that message as a wake-up call. W/W, in the past, helped me to lose 245 lbs, but seem to not help me this time around. I'm figuring when I lost the 245 lbs. with W/W, I was in my 20's and now I am in my early 40's (42 to be exact!). One thing I've noticed, as you get older, losing weight get harder. Anyway, I am sticking with Atkins all the way, until I get to goal. I actually started my new Atkins weight loss journey back on Oct 15th, 2011. I lost my father on November 6th 2012, one day past my youngest daughter's birthday (Justyce). I vowed to myself to get back on my journey to becoming an healthier mother/wife. As for now, my plan is to stay at 20 carbs, as much as I can, during the next 3 months (Induction Stage Phase 1), then to no more than 30 carbs, as much as I can, until I get at least 100-lbs. off. Then, I will move to no more than 50 carbs, until I get to my goal of 170-lbs. If there is anything I have learned during this journey is, your only a failure IF you stop trying! I am determined NOT to be a failure. "I CAN, I MUST, AND I’M A WINNER!" I AM READY FOR THE 10%LOSS BEFORE SUMMER CHALLENGE..
Spring forward - 10% loss before summer! HELLO TO ALL THAT ARE FOLLOWING THE ATKINS INDUCTION STAGE. CALLING ALL THOSE WHO ARE FOLLOWING THE ATKINS INDUCTION PHASE 100%. PLEASE POST WHAT YOU'RE EATING ON A DAILY BASIS AND RESULTS YOU'VE ACCOMPLISHED SO FAR ON YOUR JOURNEY. I AM HAVING A HARD TIME KEEPING MY CARBS DOWN TO 20 OR LESS EACH DAY. I AM NOT USING THE FATSECRET.COM FOOD DIARY TOO MUCH. I AM THE TYPE THAT MUST WRITE DOWN AND SEE MYSELF LOGGING IT FOR IT TO REGISTER IN MY MIND EACH DAY. Get filthy Clean!!! We are the ONLY obstacle mud race that doubles as a human car wash! We don’t just bring mud and obstacles; we throw more foam at you than a pack of toddlers in a bubble bath! Imagine the coolest obstacle mud race ever, and then picture it staged inside a giant car wash! That’s the 5k Foam Fest in a nutshell! In fact, 10 seconds in, you’ll be so stoked out of your mind you’ll forget you’re actually "exercising!" 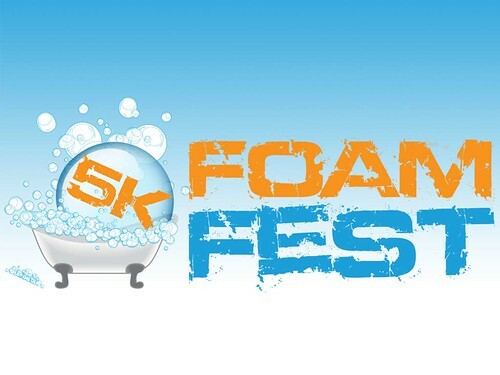 Whether you’re a seasoned mud runner or just someone out to have a great time, from the moment you tie on your shoes, you’ll notice a FUNCORE element at the 5k Foam Fest. So while we fully endorse reading through every page of our site save yourself the time and sign up already! THIS IS A TRICKY ONE! IT ALL DEPENDS FOR ME. AS A WOMEN, IT DEPRESSES ME TO SEE MY NUMBERS NOT MOVE, AND LET'S NOT EVEN TALK ABOUT IF THEY'RE GOING IN THE WRONG DIRECTION! EITHER WAY, NO ONE ANSWER WILL BE TRUE FOR EVERYONE. Today is a new day. Keep on trying. Atkins Induction,(phase 1), helping each other with questions, challenges, successes, etc.